Humminbird 346c DI has an average rating of 4 out of 5 based on 1 user reviews. Humminbird has once again surpassed expectations with the Humminbird 346C DI Color Sonar. This fishfinder utilizes Down Imaging technology to give the user a picture-like view of the area underneath the boat, allowing them to catch more fish and protecting the hull of the boat from unexpected encounters with boulders, rocks and other debris that may be in the water. The Humminbird 346C DI is an elite class of fishfinder that offers unparalleled imaging to boaters. The down imaging sonar combines the traditional down looking sonar view with side-image technology to provide picture like images of objects below the boat. These images are oriented identically to traditional sonar returns and are oriented to the left side of the screen. The 346C DI features a dazzling 256 color TFT and a 320Vx240H 3.5 inch display. The LED backlight provides perfect visibility in the brightest sunlight or the darkest night. Down Imaging Enhance and Advanced DualBeam PLUS sonar with 4000watts PTP power output mark the Humminbird 346C DI as an outstanding example of innovation and practicality all in one piece of equipment. Coming in 2013, the Humminbird 346C DI will have the option of turning 2D sonar off while in full screen Down Imaging to get twice the number of Down Imaging Pings. This device is handy for fishers and explorers. Whether canoeing on an unfamiliar river or ice-fishing, 346C DI is the perfect tool. The features don’t stop there. 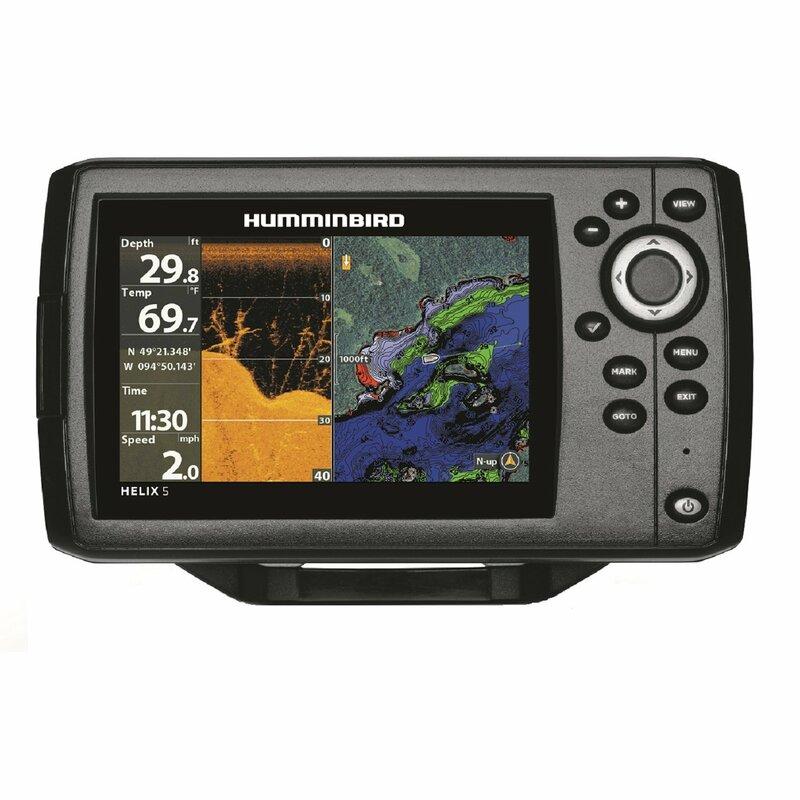 The Humminbird 346C DI was designed to be as user friendly as possible and to that end, consumers will find the ability to make custom view selections or change the view to larger digits. There is also a custom digital readout selection as well as selectable display color and background colors. All in all, the Humminbird 346C DI is a practical, beautifully designed fishfinder, useful for all types of boating expeditions and fishing trips. You can get a great deal on Humminbird 346c DI here. My only problem with this fishfinder is power consumption, I have to charge the battery before every trip. Other than that is a very good fishfinder, the display has all the details, you can clearly see fish, structure, weed line and suspended vegetation.